Oct. 21 — With the exception of British Antarctica, the U.K.’s overseas territories and offshore dependencies are all surrounded by sun-winking ocean water. But that’s not their only common feature—they are all under increasing political pressure to become more transparent with their financial information. 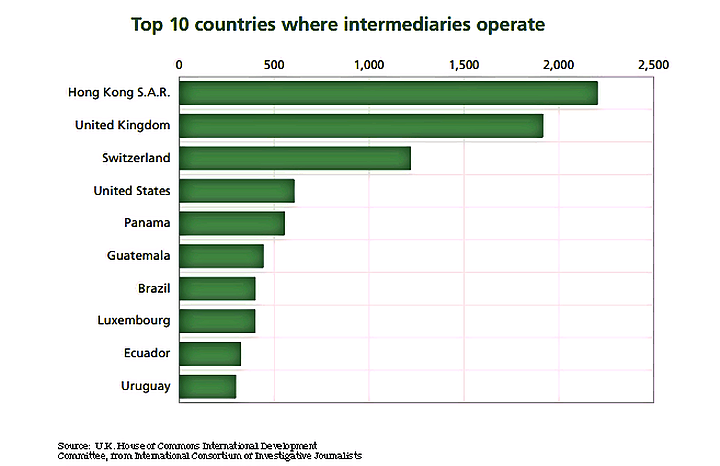 In a parliamentary report on tackling overseas corruption, the U.K.’s International Development Committee has called on the government to lobby overseas territories and crown dependencies to make them follow its example of a public register of people in control of private companies. A lack of transparency in the U.K.’s overseas territories and crown dependencies—such as the British Virgin Islands, Gibraltar, and the Channel Islands—will “significantly hinder” anti-corruption efforts worldwide and damage the U.K.’s reputation, the committee’s Oct. 19 report said. “The government must use the full weight of its influence to lobby the U.K.’s Overseas Territories and Crown Dependencies to increase transparency by creating public beneficial ownership registers,” it added. The committee’s report came in response to the publication of the Panama Papers in April, when a leak of more than 11 million documents from Panamanian law firm Mossack Fonseca & Co. revealed how wealthy individuals can establish offshore entities and structures to avoid paying taxes. Nearly half of the companies named in the Panama Papers were registered in the U.K.’s overseas territory of the British Virgin Islands, while it also revealed nearly 2,000 U.K.-based intermediaries who have helped facilitate individuals or entities with tax evasion and avoidance, the report said. “They’re asking the U.K. to take responsibility and organize matters,” Leon Fernando Del Canto, a Madrid and London-based managing partner at global law firm Del Canto Chambers, said in an Oct. 20 interview on the report. The U.K. published its first central public beneficial ownership register in June 2016, which includes the name, date of birth and nationality of the individuals who control a private company, but the U.K.’s overseas territories and crown dependencies haven’t signed up for the same measures. Beneficial ownership, the legal term for a person who profits from ownership of a property or an investment, is part of the OECD and Group of 20’s base erosion and profit shifting project that aims to combat strategies used by multinational companies to exploit mismatches and gaps in tax rules. Some overseas U.K. territories, such as Bermuda and the Channel Islands, have established financial sectors, with 30 percent of premiums at the Lloyd’s of London global insurance market coming from Bermuda-controlled groups in 2008, according to a 2009 review of U.K. offshore financial centres. Around $1 trillion is lost worldwide each year, meanwhile, in developing countries alone through activities such as tax evasion, money laundering and bribery, according to the cross-party report. 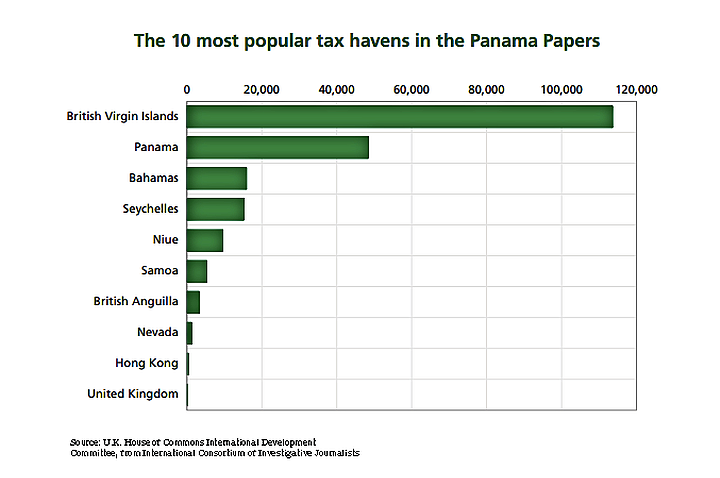 Alex Cobham, director of research at Chesham-based Tax Justice Network, which analyzes the effects of tax evasion and tax havens, said in an Oct. 20 interview that the U.K. is partly responsible for financial crimes worldwide due to the opacity of its overseas territories and crown dependencies. “We’ve always highlighted that by maintaining high levels of financial opacity through operating these secretive jurisdictions, they are responsible for a proportion of financial crimes—including tax evasion and the bribery of multinational companies,” he said. “In the end, it’s bad for governance at both ends of the process, as the territories and dependencies are not able to give their populations a meaningful voice in deciding about the future direction of the economy and regulation,” he added. Last month, the U.K. cracked down on offshore tax evasion with the launch of a disclosure facility that gave tax evaders a deadline of September 2018 to settle unpaid U.K. tax from their offshore wealth. The deadline coincides with the implementation date for the OECD’s common reporting standard (CRS), which it developed with the G20 countries in order to fight tax evasion through the automated exchange of financial information between tax authorities worldwide. An agreement for the automated exchange of financial information between the U.K. and its crown dependencies and overseas territories has already been in place since 2014, which will be replaced by CRS once the U.K. begins to use the new standard as an early adopter from September 2017. “Our message couldn’t be clearer: there are no safe havens left for tax evaders and no one should be in any doubt that the days of hiding money offshore with impunity are gone,” Jennie Granger, head of enforcement and compliance at Her Majesty’s Revenue and Customs, said in a Sept. 5 statement. In 2013, the U.K. announced a disclosure facility for the crown dependencies of Jersey, Guernsey and the Isle of Man, which was expected to raise 1.5 billion pounds ($1.8 billion) from 2013 to 2018. Yet with “fewer disclosures than expected” the estimated revenue from the disclosure facility was lowered to 800 million pounds in November 2015 and then to 270 million pounds before it closed on Dec. 31, 2015, according to a March 2016 outlook report from the Office for Budget Responsibility. “You do get a feeling that the government thinks that’s there’s more there than there actually is,” said Dean Mullaly, managing director of London-based Mark Dean Wealth Management, in an Oct. 20 interview about offshore wealth in the U.K.’s overseas territories and crown dependencies. Fiona Fernie, a London-based head of tax investigations at international law firm Pinsent Masons, said in response to the Oct. 19 report that—with the introduction of the automated exchange of financial information for the overseas territories and crown dependencies in 2014—it’s too early for the International Development Committee to criticize the U.K.’s efforts to increase transparency. While the U.K.’s crown dependencies are outside the European Union’s jurisdiction, Gibraltar faces the same uncertainty as the U.K. as it prepares to leave the 28-member bloc in mid-2019. It also means that the overseas territory faces scrutiny from the European Commission, and on Oct. 7 the commission published a letter to the U.K. government in October 2014 explaining its decision to investigate in 2013 whether Gibraltar’s corporate tax regime violates EU state aid rules. The commission, the EU’s executive arm, assessed 165 tax rulings from Gibraltar’s tax authorities to companies between 2011 and 2013—including Warsaw, Indiana-based medical device manufacturer Biomet, Inc., which was acquired for $11.3 billion in 2007 by The Blackstone Group LP, Goldman Sachs Group Inc.’s buyout group, KKR & Co. LP and TPG Capital LP, and then sold in 2014 for $13.4 billion. The commission’s ongoing investigation originally found that Gibraltar’s tax authority didn’t have a “designed procedure” to request information from companies, and that it left it up to companies to inform the tax authority about the origin of their income, the commission’s October 2014 letter said. The investigation focuses on Gibraltar’s new corporation tax, which it introduced in 2011 and taxes companies 10 percent on income accruing in or derived from the territory. Yet gaming firms—such as Ladbrokes International PLC and William Hill PLC, who are both based on the island—face taxes as low as 1 percent on annual revenue, which has made Gibraltar a popular destination for them. Responding to the Oct. 19 report from the International Development Committee, which oversees the work of the Department for International Development (DfID), a DfID spokeswoman described the U.K. as a “global leader” in the fight against corruption and outlined its commitment to pledges made to expose wrongdoing worldwide at the May 2016 anti-corruption summit hosted in London. The U.K. government has collected more than 2 billion pounds from offshore tax evaders since 2010, and has published draft legislation on a new corporate offence to prevent tax evasion following the release of the Panama Papers, which will target unpaid taxes both inside and outside of the U.K.
“It’s a combination of political pressure and better regulation that’s going to drive tax havens out of business, and that’s why these reports need to come out,” said City University London’s Murphy.